bx_console, Software channel strip from Brainworx. 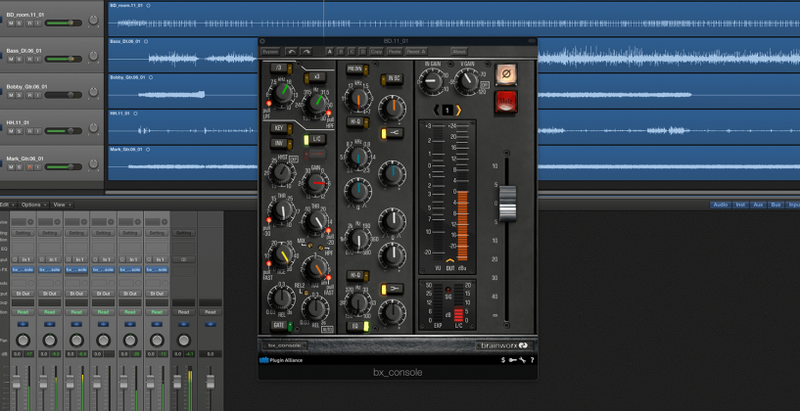 Brainworx has released bx_console, a virtual console channel strip based on a Neve model. Following the current trend in console modeling, the Brainworx bx_console plugin is announced as "a faithful emulation of the rare and coveted Neve VXS console". Described as a bridge between vintage Neve consoles (like the 80 and VR series) and the modern 88RS, the original Neve VXS is loaded with features like a comprehensive EQ and dynamics sectionwhile still delivering classic Neve punch and vibe. 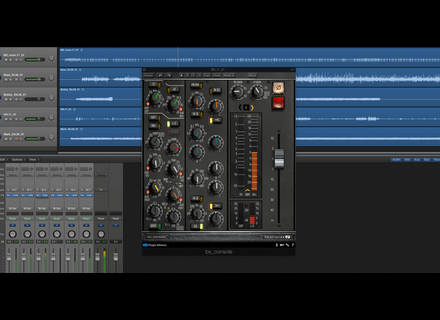 This plugin is based on Brainworx’s new Tolerance Modeling Technology (TMT), which takes into account the manufacturing tolerance of analog components to provide audible difference in how one console channel sounds compared to another. Using TMT, engineers at Brainworx cataloged the manufacturer’s stated tolerances for over 150 components in a Neve VXS 72 console, resulting in a variability that is said to add realism for in-the-box mixing with 72 channel variations available. HP/LP filters, dynamics, EQ and gain sections are also included. Brainworx's bx_console is available in AAX DSP, AAX Native, AU, VST2 and VST3 formats for Mac OS X (10.6 through 10.10) and Windows 7 or 8 systems running Pro Tools 9 or higher or any VST/VST3/AU-compatible host. MSRP is $299. More details, video and sound demos as well as a 14-day demo version are available at plugin-alliance.com. 30% off Audified STA Effects or Preamp The STA Effects bundle and STA Preamp plugin are available with a 30% discount until Sunday November 1st. Native Instruments Komplete Kontrol 1.5 update Native Instruments today released a number of new advancements to their Komplete Kontrol product family.